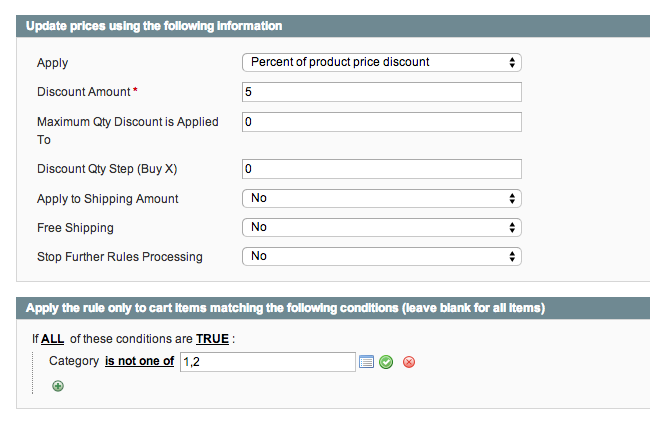 How do I setup exclusions for my discounts? 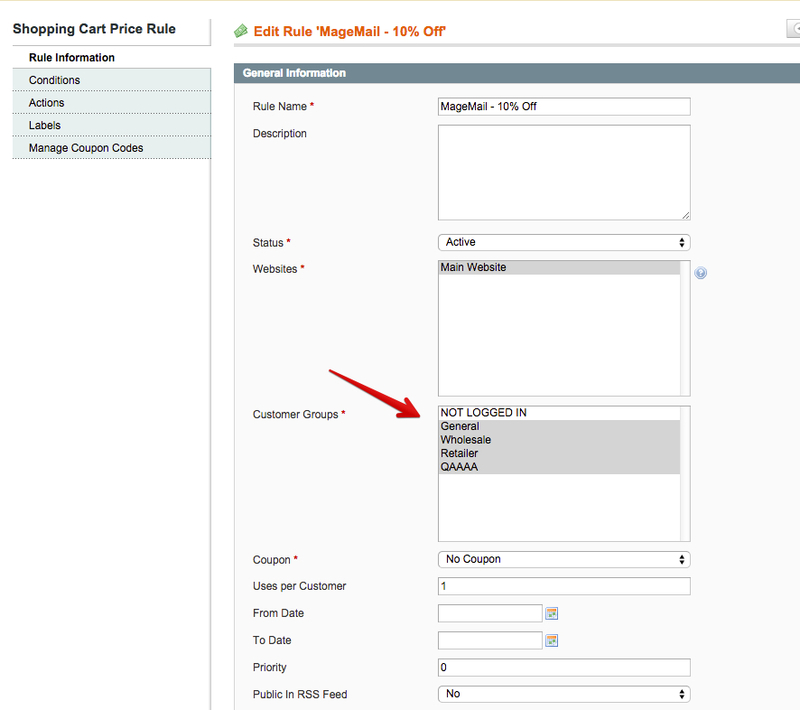 If you have any exclusions that need to be setup - whether that's a customer group that shouldn't receive the discount or product categories that should be excluded or something else - you can do so in the Magento backend under Shopping Cart Price Rules. The MageMail discounts just use plain vanilla Shopping Cart Price Rules, so you can setup any Conditions on them just like you would with any other rule. And if you want to exclude Category IDs 1 and 2, under Actions, set the discount to only apply if categories don't included 1,2.